In my research, I seek to understand how people’s experiences as group members color their interpretations of intergroup contexts and their expectations for and experiences in relations with members of other groups. I am especially interested in studying relations between members of groups that differ in status and power, to understand how legacies of inequality and conflict shape their perspectives and motivations, and to specify mechanisms that can serve to promote both improved relations and social justice. I have examined these issues in laboratory and field settings using a variety of research approaches, including survey, experimental, and meta-analytic techniques. This course introduces students to psychological theories of prejudice and intergroup relations, with a strong emphasis on applying these theories to the multiethnic context of the United States. The course begins with an overview of key issues in the study of intergroup relations, in reference to perceptions and experiences of many native and immigrant groups in the United States. We will then review classic and contemporary theory and research on prejudice and intergroup relations, with special attention to examples from social psychology. At the end of the course, we will focus on applications of such theory and research to pressing social issues, such as racial segregation in schools and affirmative action. The course will consist primarily of lectures, with some large-group and small-group discussions, films, and opportunities to discuss ideas for research projects with peers in the course. It has been designed for students to explore a variety of perspectives concerning how people perceive, evaluate, and interact with each other as members of different groups. My hope is that students will leave this course with a broader understanding of factors that contribute to dynamics between groups, and with their own thoughtful analysis of how our theories relate to group members’ experiences in the real world. This course is designed for graduate students to engage in discussion and analysis of social psychological research and theory concerning approaches to reducing prejudice and improving relations between groups, with a special emphasis on relations between members of racial, ethnopolitical, national, and religious groups with legacies of conflict. Students will explore how varied strategies may be used to improve group relations, such as experiencing contact with other groups, shifting social norms, sharing perspectives, implementing institutional policies, and supporting efforts toward social change. Special attention will be paid to psychological motivations that underlie the effectiveness of these strategies, and to potential strengths and weaknesses of these approaches depending on the relative statuses and conflict histories of the groups involved. This seminar is designed for graduate students to engage in discussion and analysis of social psychological research and theory concerning functions and motivations of the self, as well as aspects of identity that comprise the self. Students will explore how motivations of the self can influence and bias people’s perceptions and evaluations of themselves and others. Students will also consider how self-perceptions and self-evaluations may vary in the contexts of social relationships, group memberships, and cultural backgrounds, and how personal and social aspects of identity contribute to the self-concept. Students are expected to be actively involved in class discussions, working to develop their own views and insights regarding the functions, motivations, and components of the self. Linda R. Tropp, PhD, is Professor of Social Psychology in the Department of Psychological and Brain Sciences at the University of Massachusetts Amherst. 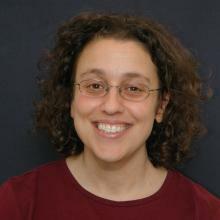 For more than two decades she has studied how members of different groups experience contact with each other, and how group differences in status affect cross-group relations. A Fellow of the American Psychological Association and the Society of Experimental Social Psychology, Tropp has received distinguished research and teaching awards from the Society for the Psychological Study of Social Issues and the International Society of Political Psychology. She has worked with national organizations on court cases relevant to racial integration, on national initiatives to improve interracial relations in schools, and with nongovernmental organizations to evaluate applied programs designed to reduce racial conflict. Dr. Tropp is coauthor of When Groups Meet: The Dynamics of Intergroup Contact (2011) and editor of several books, including Moving Beyond Prejudice Reduction: Pathways to Positive Intergroup Relations (2011), the Oxford Handbook of Intergroup Conflict (2012), and Making Research Matter: A Psychologist’s Guide to Public Engagement (forthcoming).